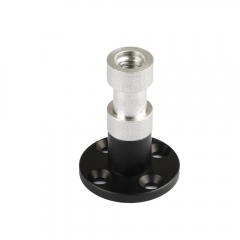 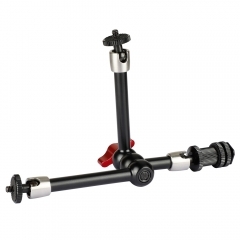 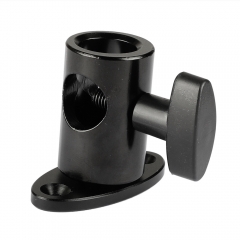 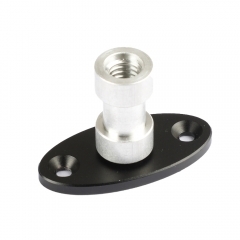 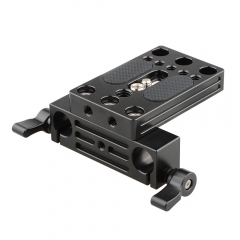 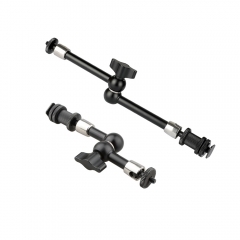 • Well made of plastic and aluminum alloy, anodized in black, it will work perfect with a light pole and a camera microphone. 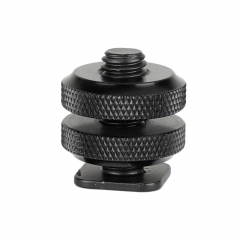 • The adjustable microphone bracket comes with 2 rubber bands crossing over one another to provide the microphone with a solid support. 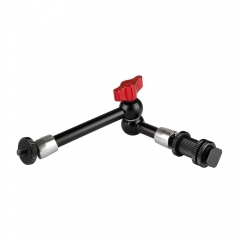 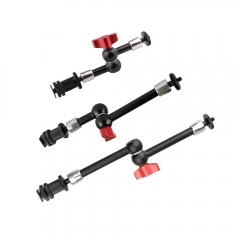 • The light pole connector can be directly inserted into a light pole and fastened by knob, very easy to use.